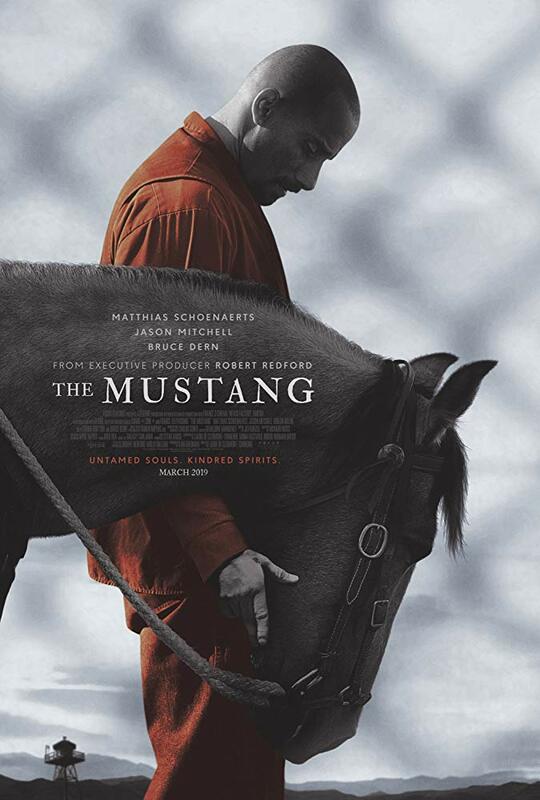 Matthias Schoenaerts in The Mustang (2019). Courtesy of IMDb. We are half way through January and that means it’s almost time for the Sundance Film Festival. The festival is held in Park City, Utah on January 24-February 3. This year 16 feature films will be making their debut in the U.S. Dramatic Competition category. In the feature film world, the Sundance Film Festival has gained prominence as one of the premier film festivals in the United States and an award earned here is almost as sought after as an Oscar. After reading the roster of films chosen, one caught my eye immediately-The Mustang. This film is executive produced by Robert Redford and directed by Laure de Clermont-Tonnerre. Based on true events, written by Brock Norman-Brock, Mona Fastvold and Laure de Clermont-Tonnerre, the film tells the story of Roman Coleman. Coleman’s horse mirrors his personality, he is angry, afraid and lashing out at the world. He only has himself to rely on and doesn’t trust easily. Horse and man need to learn how to work together, listen to each other, so they can build a bond of trust. In learning to trust each other; they will learn to trust themselves. Coleman gets help from another inmate, Henry (Jason Mitchell) who is also a trick rider and experienced with working with horses. I have watched the trailer for this movie over and over, it hits me in the gut and squeezes my heart every time. I admit, I may have a bit of a bias since I have worked as a corrections officer in the past and I have owned a mustang that took part in an inmate training program. I challenge you to watch the trailer and not tear up when Coleman’s horse comes to him, leans over his shoulder and knickers in his ear. I guarantee after that you will want to see this film. Lucky Sundance Film Festival attendees will get to pre-screen The Mustang. The rest of us will have to wait until it opens in theaters on March 15. Here is the link to the trailer, I’m looking forward to seeing your comments after you’ve watched it.